If the camera or cameras are to be used outdoors then black and white cameras are more suitable, as they need less light to form a useable picture. Colour cameras are more suitable for indoor applications where light levels are higher. 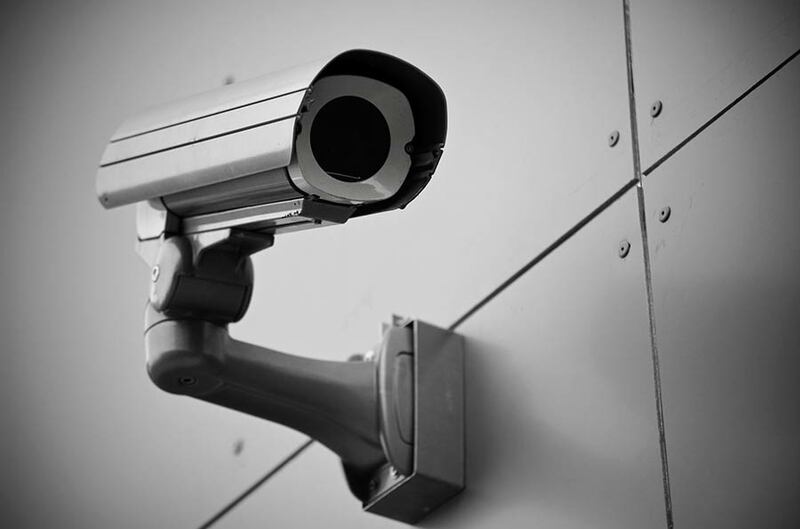 Most CCTV cameras use a CCD (Charge-Coupled Device) light-sensitive chip to capture the image The sensitive area is split into a large number of picture-elements or ‘pixels’. The size of the CCD chip is known as the ‘format’ which may be ½”, 1/3”, ¼” or 1/6”. In general, the larger the format the better the low-light pictures will be. With the latest generation of CCDs, 1/3” cameras will give good results in most situations. An image from a scene is focused through a lens onto a chip surface, charge is built up in each pixel proportional to the intensity of the light falling on to it. Hence an electrical representation of the optical image is formed. Typical pixel counts for CCD sensors are between 250,000 and 500,000. Note that the majority of manufacturers supply their cameras without lenses fitted – REMEMBER TO QUOTE FOR THE LENS! The main performance criteria of a camera are its sensitivity and resolution. Sensitivity is a measure of the minimum amount of light required by the camera to generate an acceptable image. Resolution defines the amount of picture detail in the image produced by the camera.